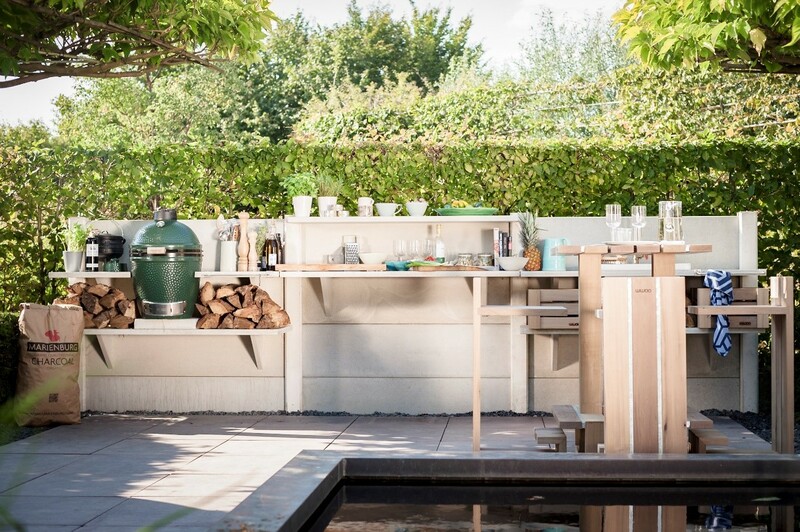 Gregg & Gina Hoffman open a showroom featuring the Dutch designed outdoor kitchen. WWOO Concrete Outdoor Kitchens LLC is now producing in El Segundo, California. The product is the premier outdoor kitchen brand in the world. The Dutch design was introduced 5 years ago by Piet-Jan van den Kommer and is sold in 13 countries worldwide. Within the last 6 months, WWOO California has refined its production process and has established the means to continue the WWOO-VEMENT. In late 2016, Gregg & Gina Hoffman brought WWOO Concrete Outdoor Kitchens to California. What began with a Big Green Egg BBQ they purchased as a Father’s Day present would change their life’s direction. That summer they decided to go to the headquarters in the Netherlands to see the product for themselves and they ended the visit with a new-found partnership. Having backgrounds in landscape and real estate, the two shared a passion for design and renovation already. Their desire for success is deeply rooted in their passions as well as their love for their 5 children. Production commenced in April of 2017 and already the WWOO-VEMENT is spreading throughout America with orders from coast to coast. With over 5 years of success in Europe, dealers in 13+ countries, and awards at events such as the Chelsea Flower Show in May of 2013. WWOO Concrete Outdoor Kitchens LLC has opened a showroom in El Segundo which showcases 3 models of the Dutch designed outdoor kitchens. There is a variety of possibilities and configurations to fit a patio, balcony, or backyard. Accessories range from iPad stands, knife blocks, towel bars, and buckets that hang on the side of the WWOO. New accessories are always added as the team in the Netherlands is constantly developing solutions to your problems. 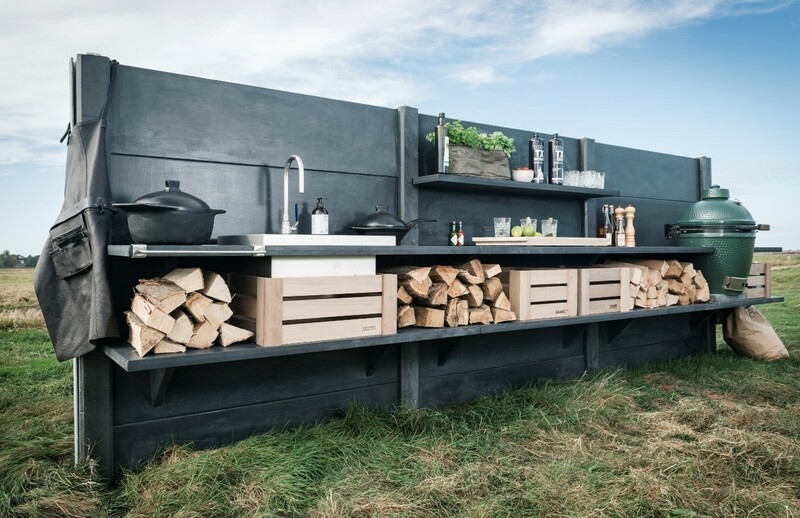 WWOO kitchens are built to order and the design is a solution to the high-cost, fragile, and immobile nature of traditional outdoor kitchens. Its modular segments present flexibility while the designs can be tailored to your individual wants and needs. 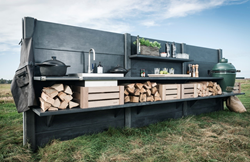 Being composed of concrete posts and shelves, the WWOO Kitchens can be easily cleaned off with a hose, are low maintenance year-round, and are very durable. WWOO brings a sense of authentic outdoor celebration to your backyard through cultivating a way of living in mother nature’s world.